We want to share reports of My Abortion. My Life. 's successful Conversation Night as an inspirational tool to hopefully aid in developing your own speakout. The website, My Abortion. My Life. is a public awareness campaign in Cleveland, Ohio - sponsored by Preterm, They seek to end the silence and shame surrounding abortion by creating a new and positive conversation about abortion in the lives of American women. According to My Abortion. 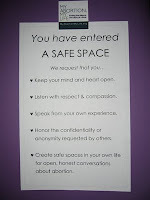 My Life.’s Facebook and Website, on May 26, 2011 My Abortion. My Life. held a Conversation Night at the B-Side Lounge in Cleveland Heights, which was attended by close to 100 people. Their website explains that My Abortion. My Life. “wants to promote a new dialogue, one that shifts the conversation from the rhetorical to the experiential, from the language of politics to the language of real women and men. Only through sharing our truths about abortion can we truly support women’s full range of reproductive options." And Women's Health in Women's Hands fully agrees! 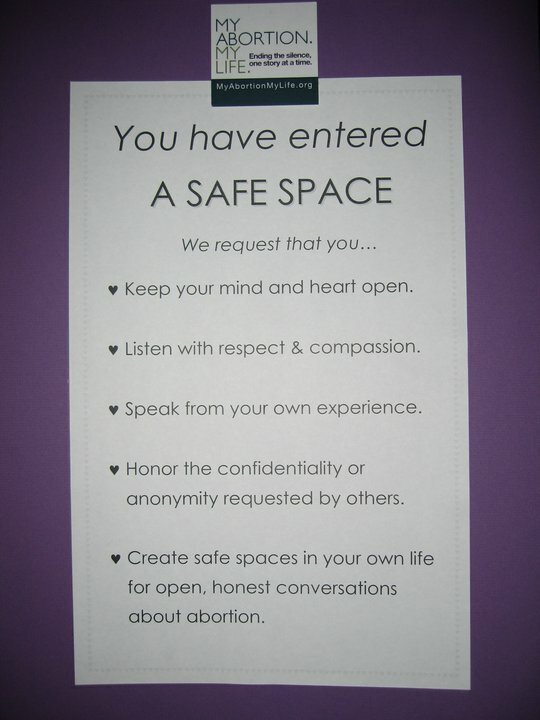 Please get in contact with us and let’s work to de-stigmatize abortion.